A Piece Of Cake . . .
After a really quiet, really nice morning, about 12:30 Jan and I headed up to the Clear Lake area for lunch, shopping, and package pickup. Our first stop was at our long-time favorite, King Food. As I’ve mentioned before, we’ve been eating here since December 1978. In fact it was December 18th. I remember the exact day because it’s where I ate my very first day at NASA. I had been Chief Electronic Tech for Alabama and Georgia with Storer Cable in Montgomery, AL since 1975. (Storer later became TCI, with part of it split off into Comcast.) But back in October I had seen an ad in the Birmingham paper looking for technicians to work at Johnson Space Center on the Space Shuttle Project. How could I resist that? They flew me down to Houston in October and hired me on the spot, but I ask to not start until the 18th of December, the start of Chris and Brandi’s Christmas vacation. So the moving van came on Thursday, (NASA moved us. Nice! ), I finished work at Storer Friday afternoon and then we hit the road for Houston along with my parents, a caravan of 3 cars. We spent the night in Meridian, MS before getting into Houston around 8pm Saturday night. Of course now we needed to find a place to stay, and quickly, because the moving van with our furniture would be there Monday afternoon. But luckily for Jan and I, we were used to coming into a strange town and getting set up ASAP. When we spent those years working for the DOD, we regularly moved to a new town and in one day had an apartment, and the utilities turned on. So Houston was a piece of cake. So Monday morning I started work at JSC while Jan waited at the house for the movers. And when we all went out to lunch from work, King Food is where we went. So we’ve been eating at King Food for 39 years next month, and as it happens we’re on our 4th owner, though the present ones have been here the longest. As far as lunch, we started with our usual Hot & Sour Soup, the best we’ve found anywhere in the country during our travels. But somehow I’ve never gotten a photo of a bowl, I guess because we’re always in a hurry to dig in. After the soup we both had our usual Chicken with Hot Garlic Sauce and Jalapenos, XXXXX Spicy. It really doesn’t get any better than this. Next up I made a drive-by to my client’s office which also doubles as my Amazon package receiver. I had gotten texts that said that several had come in so we stopped by to pick them up. Then it was on over to Harbor Freight for a few things before going on up I-45 to Wal-Mart for a couple of prescriptions and some groceries. 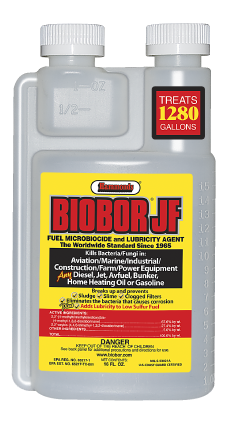 One of the things that came in from Amazon was a new bottle of Biobor JF Diesel Fuel Biocide. I use this to keep the algae from growing in our rig’s diesel tank when we’re parked for long periods in cold weather. We try to keep our diesel tank full during these times so that a cold snap doesn’t condense moisture in the tank, which leads to algae growth, which then clogs your engine fuel filters. In the past I’ve found Biobor in the Marine sections of sporting goods stores like Academy and Cabella’s, since it’s used in marine diesel engines as well. But lately it seems they’ve stopped carrying it, which is strange since it’s actually made here in Houston. Tomorrow Jan and I are planning to see Blade Runner 2049 before it goes away. It’s only being shown in one theater in the south Houston area, and that’s the AMC 30 one up by the Sam Houston Tollway and I-45. So I wouldn’t be surprised to find it gone next weekend with all the new movies coming out.